Fight Injustice + Impact Change through Music + Art. Needed Now: 1500 houseless teens (13-17) on the street tonight in Alameda County. Most will be approached by a trafficker in that first 48 hours. This isn't an abstract over-there issue. These are our kids- they need us to step up. We can help you make a difference... tonight. We've banded together Musicians, Schools, and Brands to create new ways to strengthen our city's most vulnerable residents. Their art will supply organizations like DreamCatcher with the needed resources for their fight. DreamCatcher is a safe house that shows them another way by providing a home, support, and a direction. BE THE SOUND OF HOPE. Join us to amplify and embolden the voice-less. 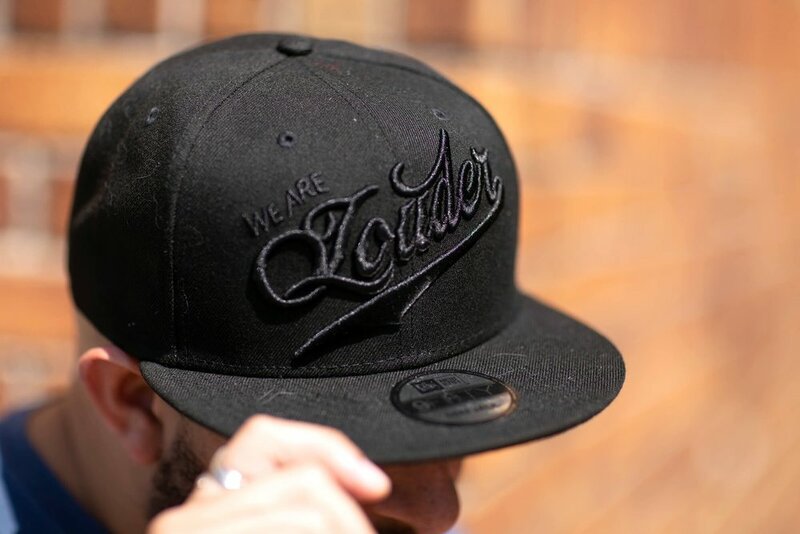 Together, We are Louder! Thank you for making us louder! We're YOUR squad, YOUR network, YOUR team that has come together to EMPOWER YOU. Your actions amplify and embolden the voice-less.